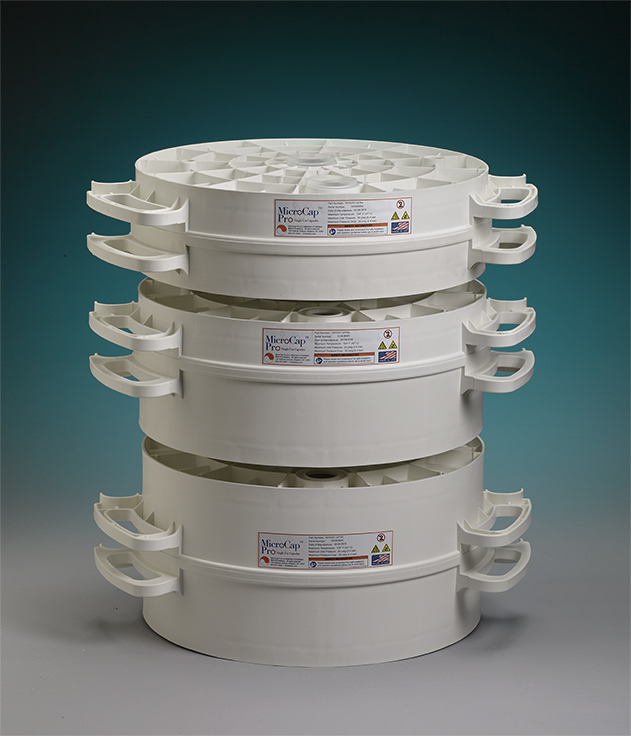 MicroCap™ is a depth filtration capsule suite customized to fit your processing needs. MicroCap Single-Use Capsules offer the best solution for batch filtration processing and consistently superior results. 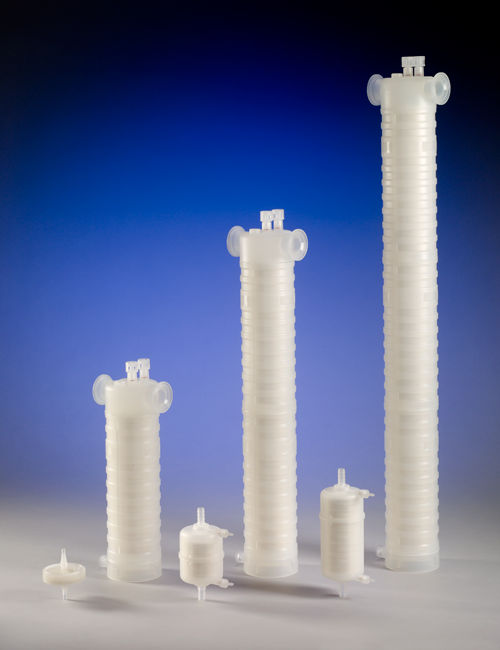 MicroCap Single-Use Capsules are a uniquely flexible line of disposable depth filter products designed to optimize scale-up and scale-down studies. With six different capsule sizes for lab-scale processing or three different sized for pilot- and production-scale processing, we can meet your process volume requirements without requiring the pooling of multiple batches. Lab-scale through clinical-scale process volumes can be easily managed within the framework of cost-effective, efficient processing. Scale-up and scale-down studies can be efficiently managed through capsules sized and aligned to standard process volumes. Our MicroCap Pro single-use filtration system is a flexible alternative to traditional production-scale depth filtration. Our innovative disposable microfiltration technology is specifically designed for large scale microfiltration in the biopharma and pharmaceutical industries. The MicroCap single-use depth filter capsules incorporate 4 types of depth filter media: MicroMedia, XL Series, DXL Series – a double layer configuration of XL Series, or MicroClear (Impregnated with activated carbon) depth filter media in an easy-to-use, self-contained and completely disposable single-use depth filter capsule.